Passionate is a word that well describes much about the Pashtun tribes, who originated in Pakistan and Afghanistan. They are said to love or hate with equal intensity, displaying fierce loyalty to friends, yet defending the right of badal - revenge or blood feuds where enemies are concerned. An old proverb reveals much, "He is no Pashtun who does not give a blow for a punch." Thus, it is no surprise that the infamous Taliban fighters of Afghanistan originated among the Pashtun. Though the Taliban is far from Bangladesh, some Pashtuns have made their way to that distant part of South Asia. Like the Bengali majority, they adhere to Sunni Islam. The vast majority of the Pashtuns live in Afghanistan and Pakistan, but others live outside their traditional homelands including Bangladesh. Members of the Islamic religion are very difficult to influence. Pashtuns who decide to follow Christ are likely to be banished from their families. Consequently, there have been very few spiritual inroads among the Pashtuns wherever they live, including Bangladesh. revenge and lack of forgiveness. There can be no spiritual progress until they realize that they must let go of the things that hold them back spiritually. * Pray for peace in the hearts of the Pashtun peoples. * Ask God to call those who are willing to go to Bangladesh and share Christ with the Pashtun. 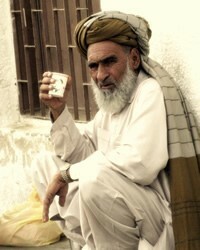 * Pray that God will encourage and protect the small number of Pashtun believers wherever they live. * Ask God to soften the hearts of the Pashtun towards believers so that they will be open to the gospel. Pray for an unstoppable disciple making movement among the Pashtuns that will affect their communities in Bangladesh. 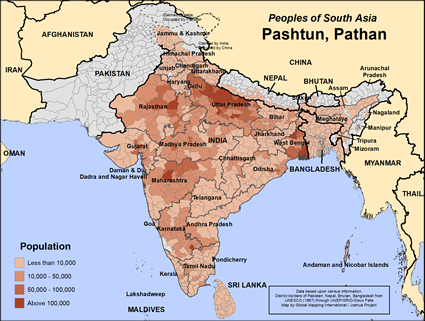 http://www.khyberwatch.com/forums/showthread.php?9039-The-Pathans-in-BangladeshView Pashtun, Pathan in all countries.